Situated on a premium end of cul de sac lot with breath taking views overlooking the natural beauty of Orange County's exquisite landscape. 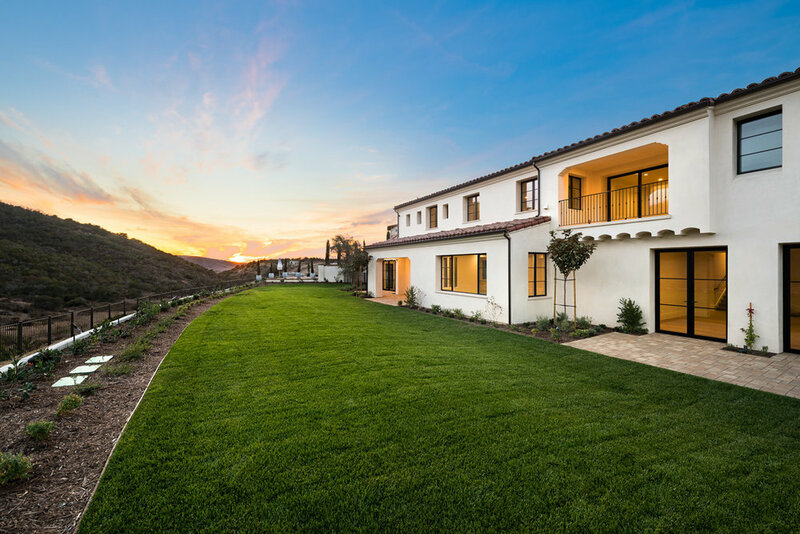 Santa Barbara inspired new construction, designed by well known architect Cecil Carney. Spacious estate home boasts 6 bedrooms, 7 baths on stunning 24,421 sqft lot with scenic canyon views surrounded by nature trails and open space. Modern and tastefully designed open floor plan with pocket doors that showcase indoor/outdoor living by pairing the exquisite interiors nestled in the natural surrounding of Irvine's most exclusive gated community. Enjoy the chef's dream gourmet kitchen with oversized island, state of the art appliances, oversized windows and French doors to bring in plenty of natural light. Relax in the adjacent bonus room or enjoy the entertainment of your private custom theater. Lounge in the master retreat with his and hers oversized master closets and spa inspired tub with a glass enclosed shower. Spacious 4 car garage perfect for car enthusiast. Enjoy the country club lifestyle and amenities that local and international luxury home buyers desire. Golf with Orange County's elite on award-winning Tom Fazio 18 hole private golf course, hike the endless miles of trails to Bommer Canyon or take a short drive to the Orange County coast and beaches only minutes away. Shady Canyon is centrally located in the heart of Irvine with award winning schools, entertainment and shopping. Please feel free to share this custom property website - 128CanyonCreekIrvine.com. - with others who may be interested in making this their home.